This is a default outfit from earlier this fall. 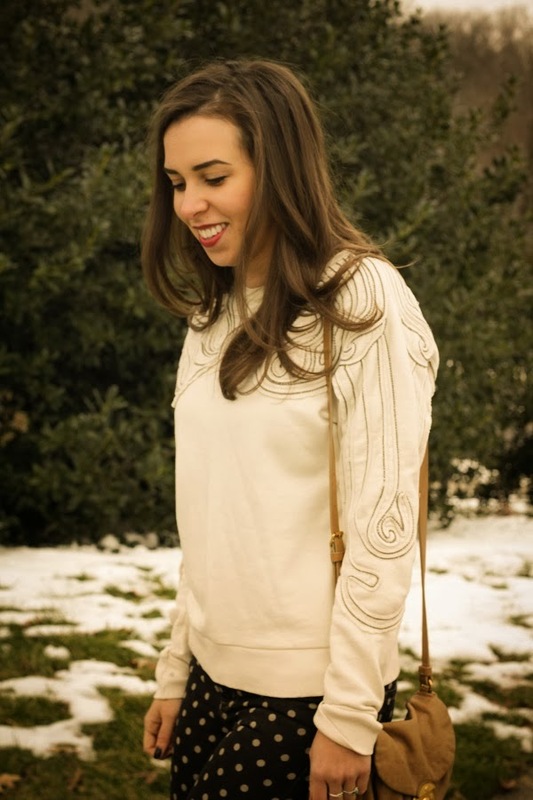 Embroidered sweatshirt and printed pants = cool casual. Remember to enter my bluenile.com giveaway! SWEATER IS SO FABOLOUS AND DOT PANTS ALSO, LOVE THIS PATTERN!! I absolutely love the mixture of white and dark. And the boots pull the whole thing together. Love the whole outfit! Ahh, love the simplicity of this outfit. B&W is so chic. I am in love with the sweater too. H&M has great stuff. This is such a pretty and adorable outfit!